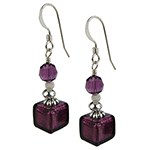 Wear them once and you will find that our bi-colored Venetian bead earrings have become one of your favorite fashion accessories. 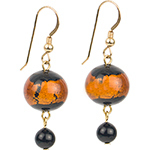 You won't find more perfectly made beads than the one's dangling from these ear wires. 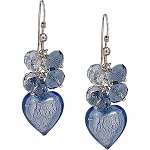 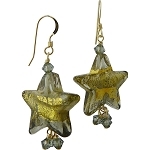 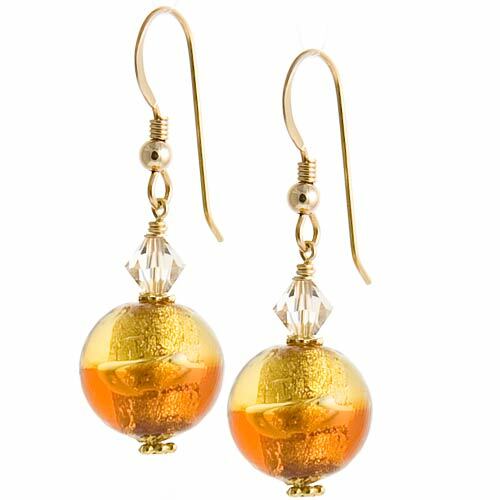 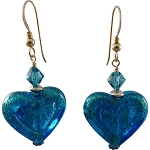 These earrings feature 1/2 inch Venetian beads made with two distinct colors of topaz glass over gold foil, accented with Swarovski crystals, attached to 14/20 gold-filled ear wires.